A focus on responsible sourcing. VK Designs’ vision is to meld conscientious materials and thoughtful design. Each creation has a distinctive, yet refined elegance that is enhanced by responsible sourcing of precious metals, diamonds and sapphires. 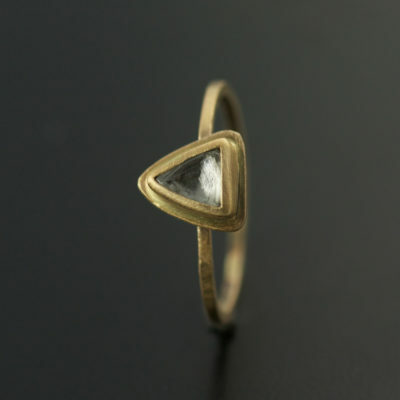 Jewelry is a modern day talisman for those who wear it, infused with layers of symbolism. Each VK Designs piece embodies the company’s value of change for good. As well, VK Designs intends each piece to be a symbol that the recipient infuses with their own meaning and is a symbol that inspires them every day. 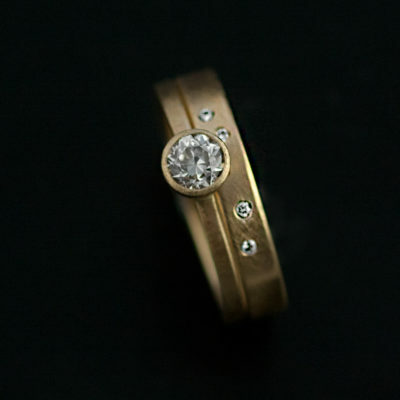 Valerie uses traditional goldsmithing techniques to create fresh, modern designs. 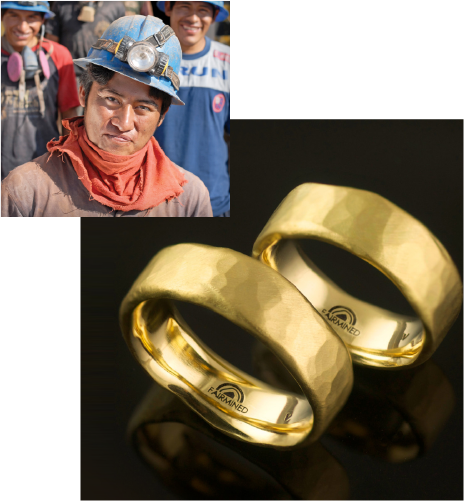 Each creation is hand forged with care and craftsmanship and will become a symbol that you are proud to wear. The design aesthetics find balances in duality: rustic yet refined; hand created yet clean. 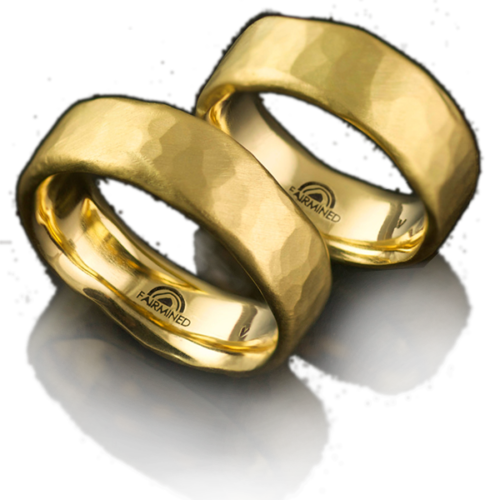 You will work directly with goldsmith and owner, Valerie Kasinskas and discuss your vision. Each piece will be entirely designed and created by Valerie in her her studio in Portland, Oregon. Each custom design is personal and unique. 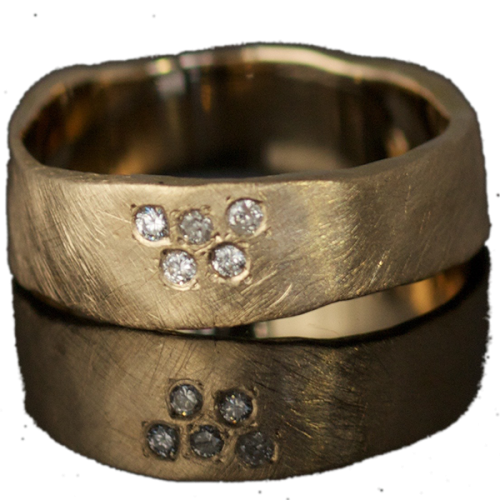 You will work directly with goldsmith and owner, Valerie Kasinskas and discuss your vision. Each piece will be entirely designed an created by Valerie in her her studio in Portland, Oregon. Each custom design is personal and unique. 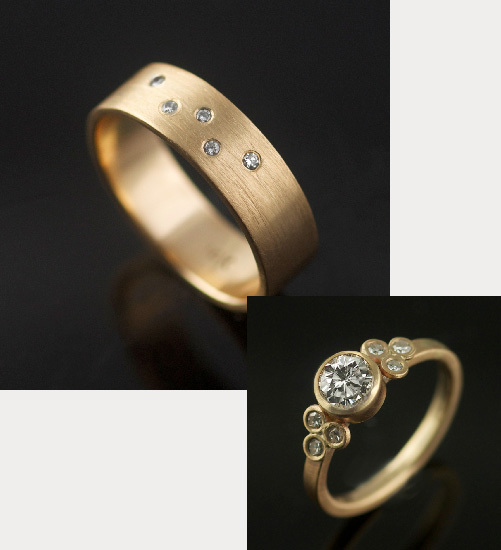 Valerie enjoys working with family heirlooms, which brings an additional layer of meaning to each piece. 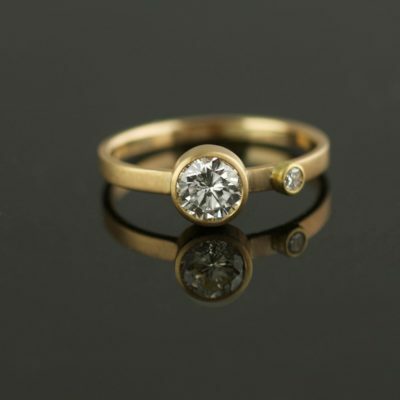 Heirlooms can include recycled golds or diamonds that can be incorporated in to the project in a variety of ways. Valerie also cuts Montana sapphires for unique and unexpected designs.